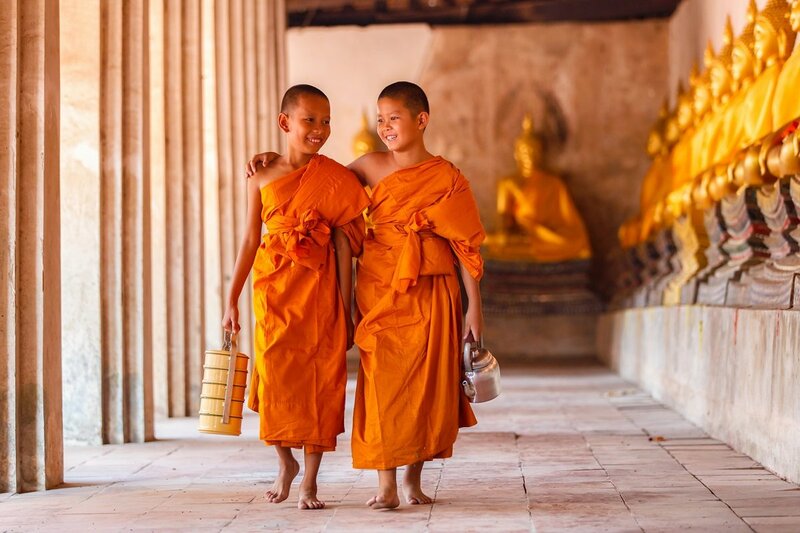 Thailand with Kids - Book a 12 day family holiday in thailand here! The Thai people love children! 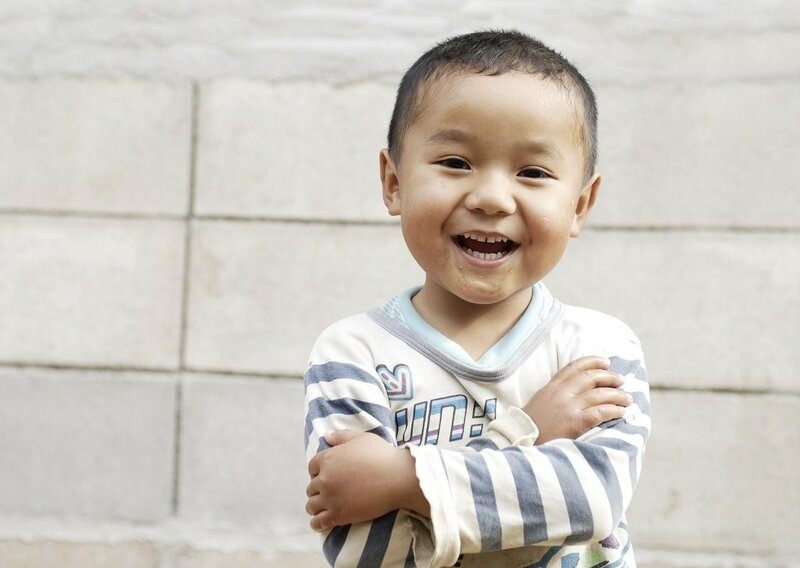 You will be met with smiles, curiosity and a forthcoming nature at every turn. 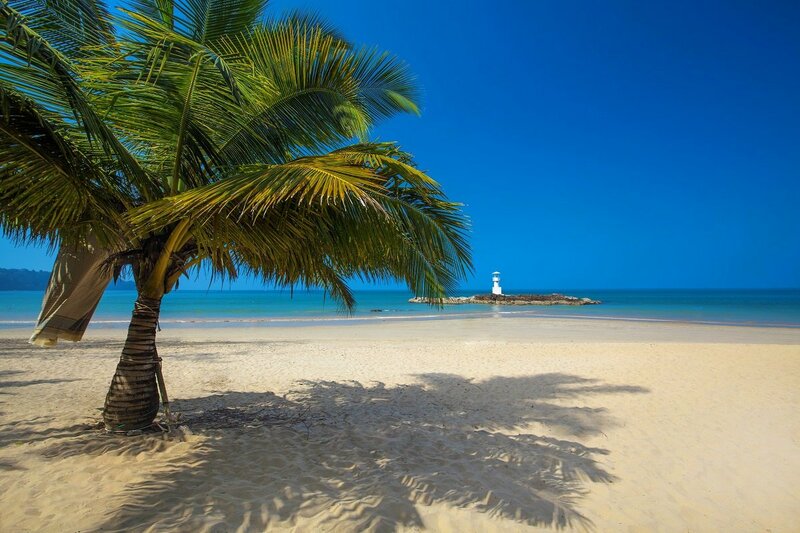 This tour is the perfect combination of experiences and beach relaxation. The tour begins in the calm and relatively temperate north. 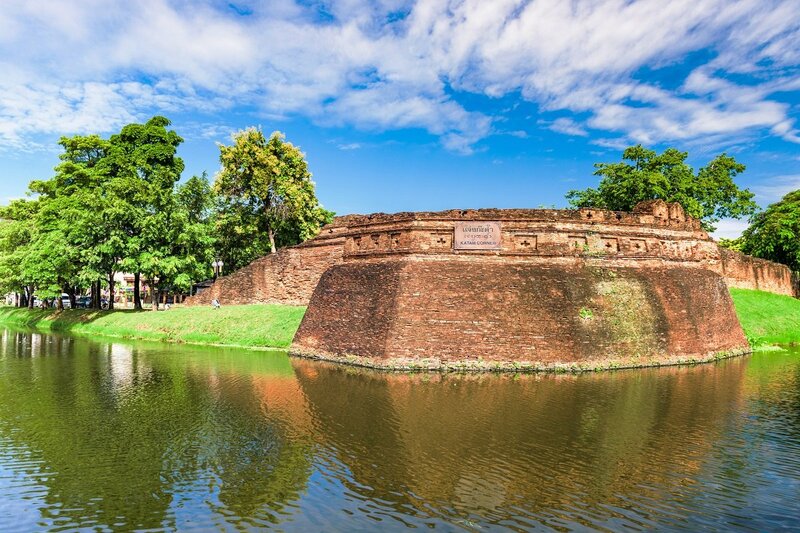 Chiang Mai is a fantastic city with both charm and a pleasant atmosphere. Here you visit the most famous temple in the area, Doi Suthep, and the fantastic Elephant Care. 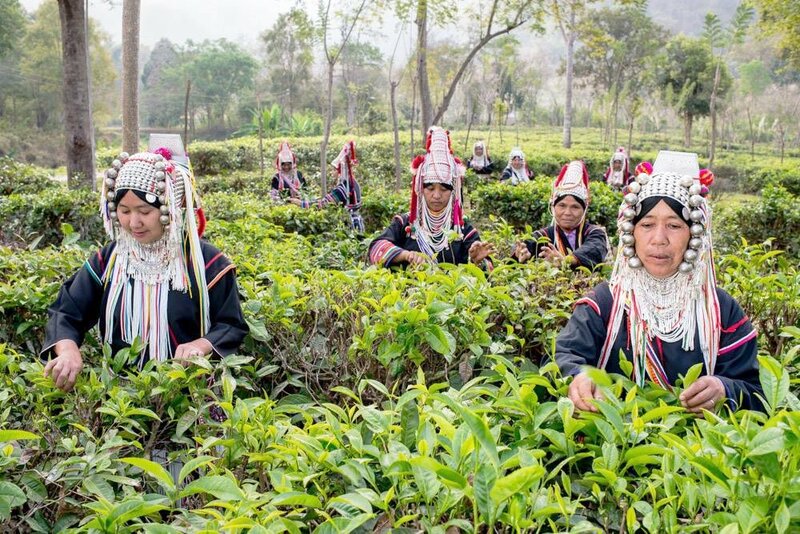 You also visit the village of a local tribe and get the chance to pick tea on your own with a basket on your back. 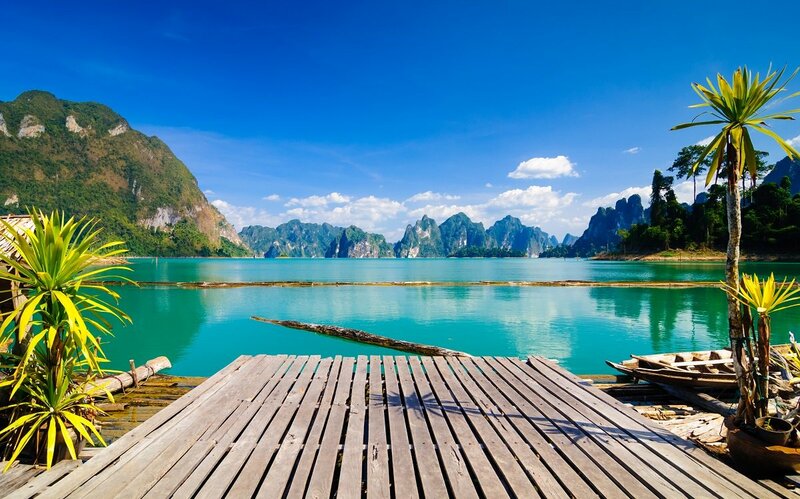 From Chiang Mai, the tour continues south – to the renowned Thai beaches. You spend 6 days at a lovely family hotel in Khao Lak. There are tons of options for activities and excursions here – but also time to just laze about and bathe in the warm waters. 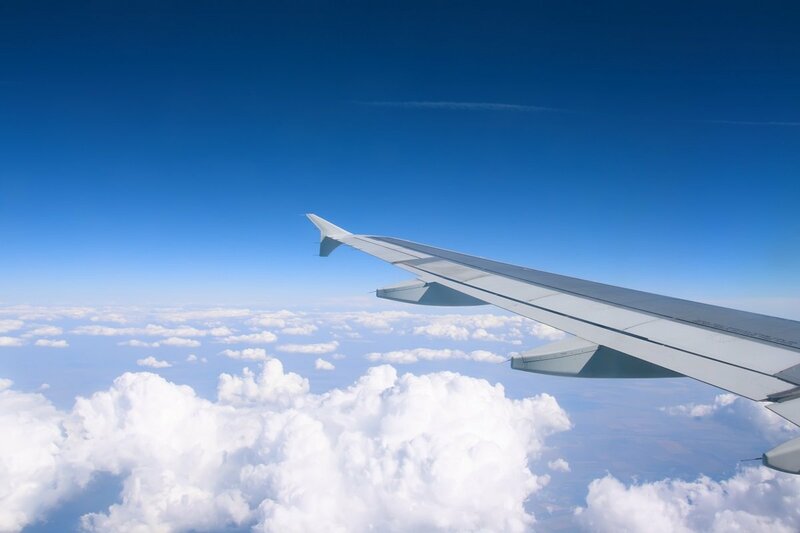 Today you set off from your selected airport in the UK, with connecting flights along the way. On arrival in Chiang Mai, you pass through immigration, collect your bags and proceed out to the arrivals hall. Here your guide awaits you, holding an Asia Tours sign. You are driven to the hotel, where you will spend 4 nights. The rest of the day at your disposal, to get over the long flight. 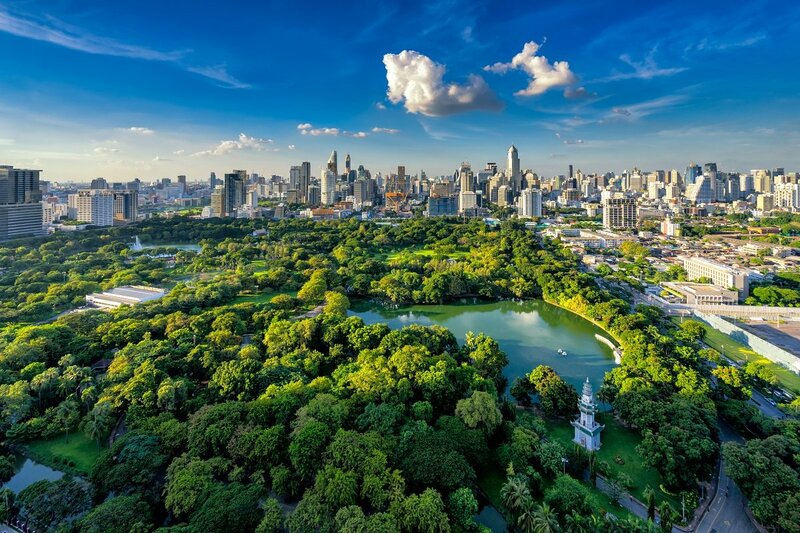 Chiang Mai is the second-biggest city in Thailand, yet the city appears calm and impeccably charming. About 300 temples adorn the city, whose city centre is surrounded by an old moat. Most of its historical attractions are in walking distance from the city centre. 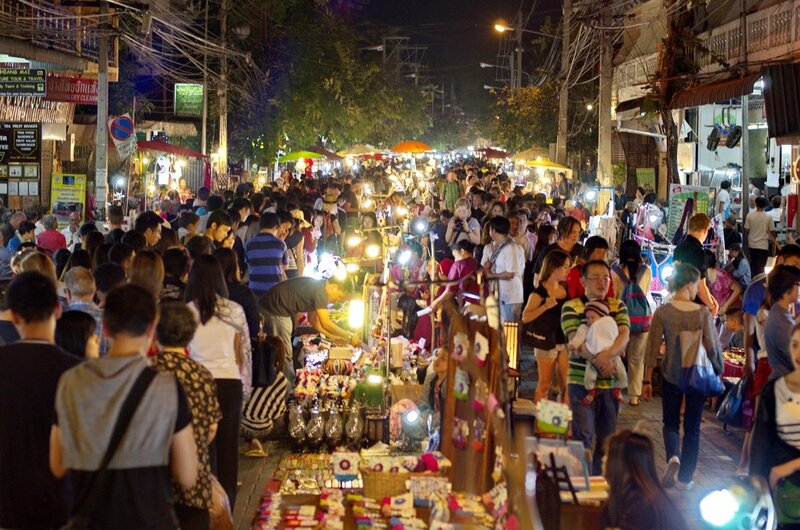 The various markets sell everything from fresh flowers to fried grasshoppers, and when the evening rolls in, many locals and visitors gather at Chiang Mai’s renowned night market to shop, and to eat at the many street kitchens. 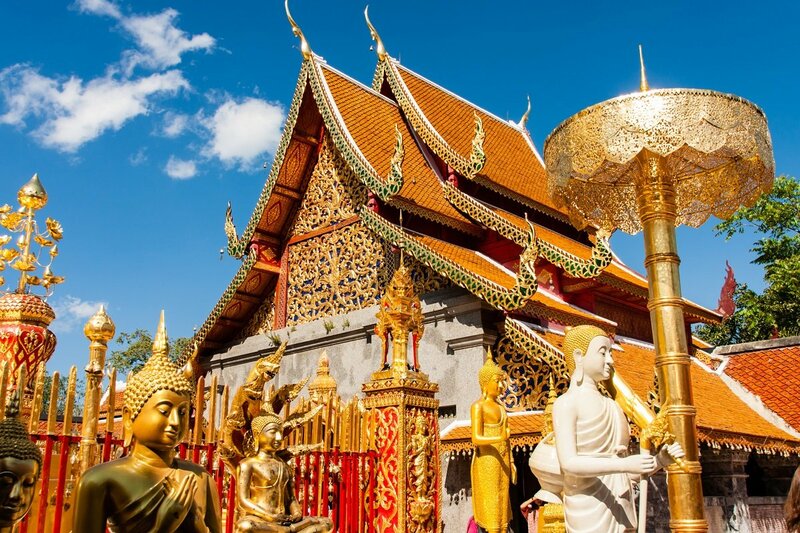 Today, you start at one of Northern Thailand’s beautiful and deeply sacred temples, Wat Prathat Doi Suthep, a short distance outside Chiang Mai. 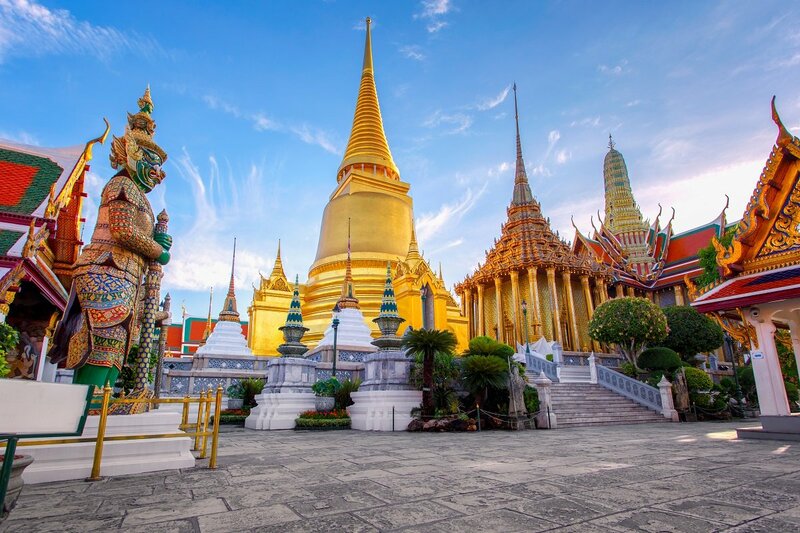 It is a stunning golden pagoda containing relics of Buddha. You drive along an incredibly scenic road through the mountain landscape to the Doi Pui National Park. From here, you climb the 300 steps up to the pagoda, which was built in 1383. From the temple, you can enjoy the most beautiful view of Chiang Mai city. You will see dozens of orange-clad monks here, who are making pilgrimages to the temple. Please note that there is a special dress code at Doi Suthep. The rest of the day is your disposal, to explore the city – or perhaps you need a quick dip in the pool? Today, a different and unforgettable visit awaits you, you visit Elephant Care, about a 90-minute drive from Chiang Mai. As the name suggests, this is a place that takes good care of elephants and strives to let them live as naturally as possible. This is neither a circus, a show, nor an elephant camp. Elephant painting, riding and chains are prohibited here. Tourists don’t come here to be entertained, but to gain an insight into the elephants’ daily lives and get right up close to these huge, intelligent creatures. You are picked up at the hotel and driven from there to the village of Baan Meung Kud, north of Chiang Mai. 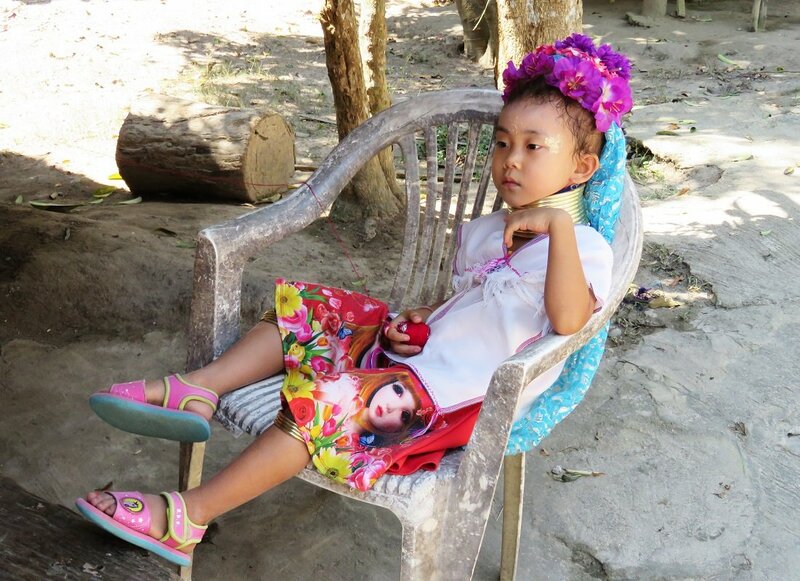 On arrival, you are given a set of clothes, so you can look like a traditional mahout. 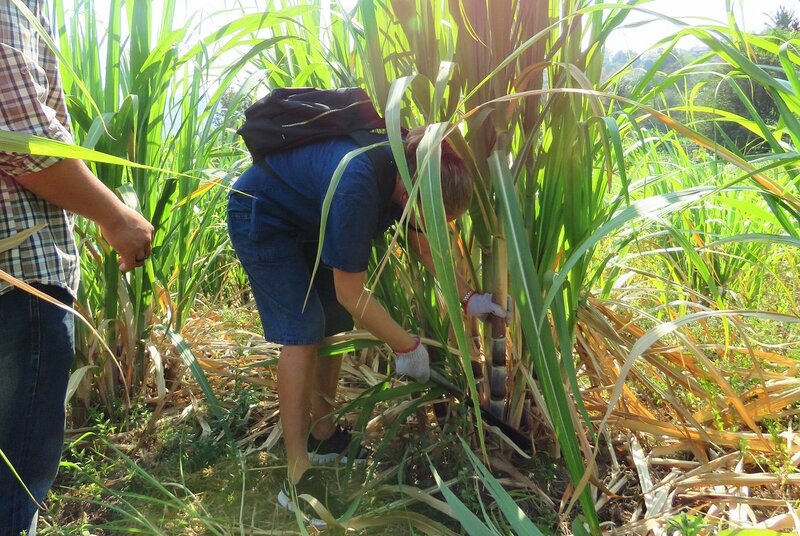 Before you get to visit the elephants, you go out and harvest food for them. This could be sugar cane, bananas, or grass, depending on the season. 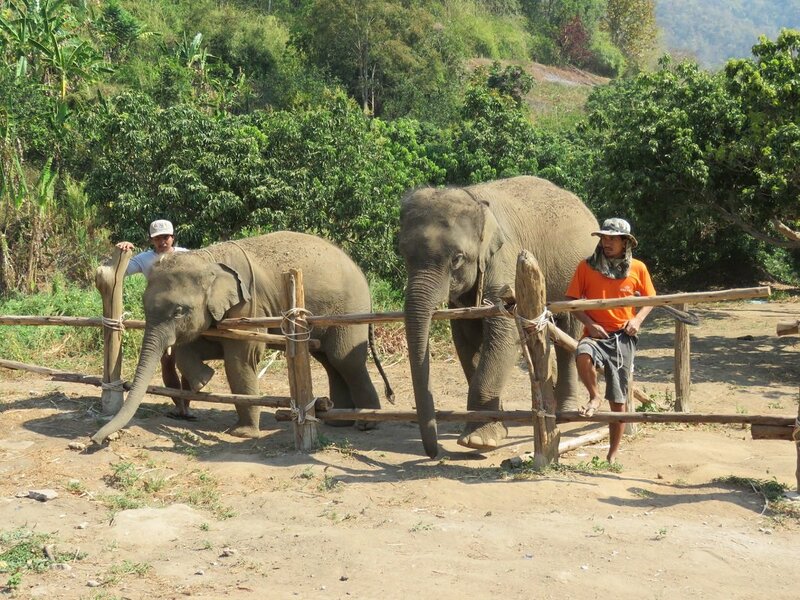 Afterwards, your meeting with the elephants awaits, and you are allowed to feed them. The guide talks about their routines and habits. You also learn how to communicate with them and to read their body language. After a delicious lunch, the elephants also want a little snack, consisting of sticky balls of rice mixed with salt. Elephants love food. They are said to sleep just 3 hours a day and eat for the remaining 21 hours! One of the highlights is when the elephants go down to the water to cool off and be washed. This is not done with traditional sponges and soap, but with a type of wood found only in northern Thailand, called “keau saba”. When the wood is beaten thoroughly, it becomes soft and can be used as a sponge. The magic happens when the wood comes into contact with water and a kind of soap is extracted. 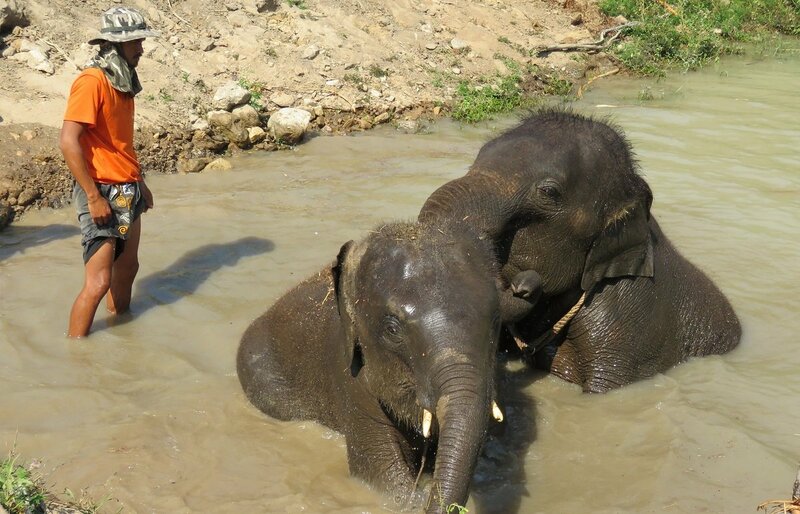 The elephants love being scrubbed and washed, and romp about playfully in the water. You are picked up at the hotel after breakfast and drive north, to the tribal village of Baan Tong Hill. 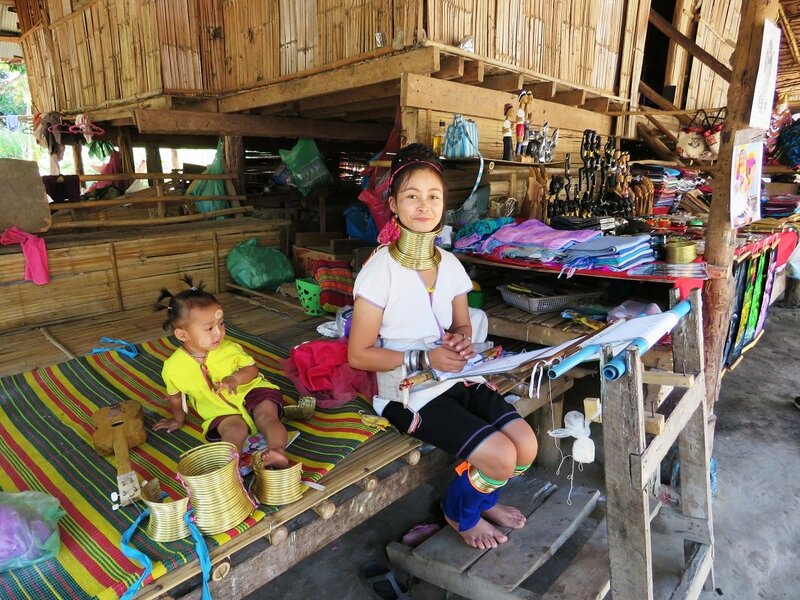 Here you can gain some good, fascinating insight into how the different mountain tribes live, including Lahu, Hmong, White Karen and Padaung (Long Neck), who are known for the brass rings around their necks. The women receive their first ring at the age of 5. Today it is mostly for tradition’s sake. 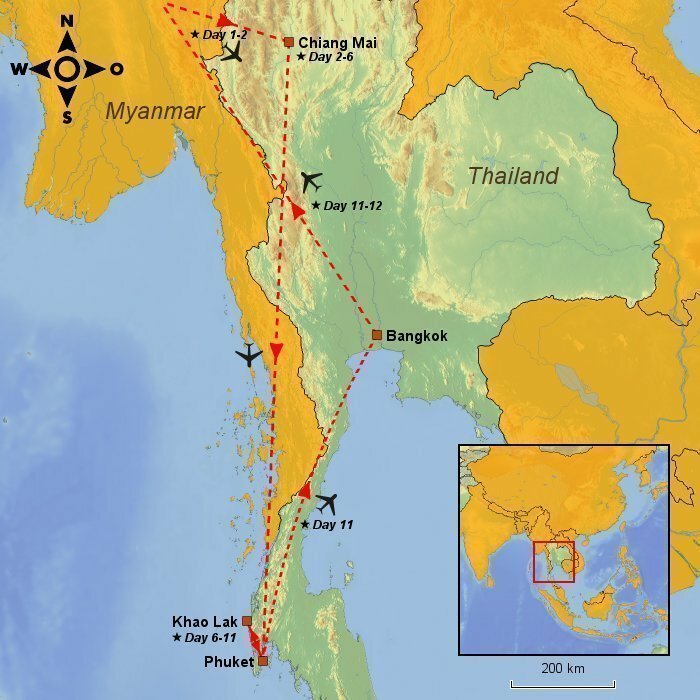 In the past, the women did it to protect themselves from tiger attacks in Myanmar’s mountainous region on the border with Thailand. The village is surrounded by gorgeous rice paddies, and on both sides, tribespeople live in wooden houses. Here the women show their hand-made jewellery, wooden figures and woven carpets, and you have the chance to buy some. The women are happy to talk, so feel free to ask about their history and culture. You continue to Elephant Poo Poo Paper Park, a relatively new and unique attraction in Chiang Mai. Here you see every stage of the production of paper, which here is made from the excrement of elephants, horses and cows, etc. Can you imagine that? The tour through the lush garden takes you through eight different pavilions, explaining each step of the fascinating, environmentally friendly process. Feel free to help make your own piece of paper. Lunch is enjoyed at a butterfly and orchid farm, where you can watch the beautiful butterflies fly about. Afterwards, you head for the Araksa tea plantation, which specialises in the high quality black tea, Assam. 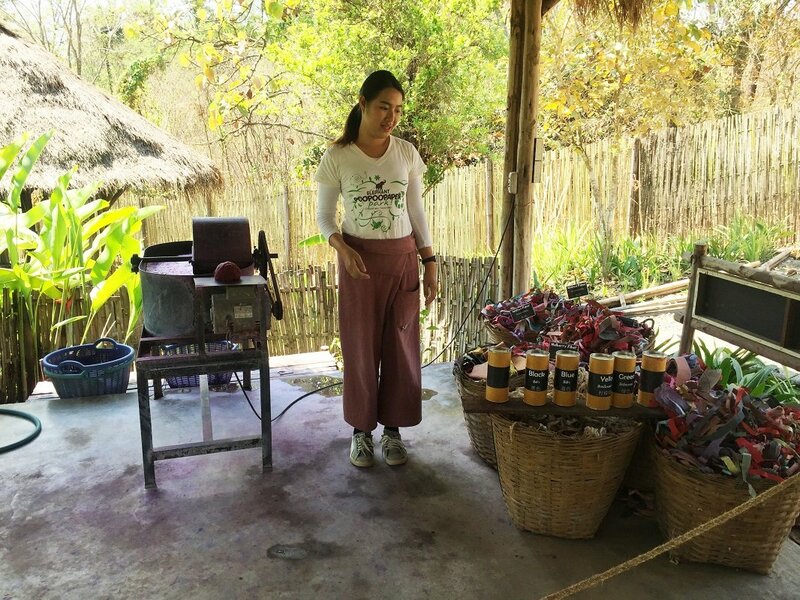 Here you will learn about the different processes and methods used in tea production, and you are allowed to go out into the plantation and pick tea leaves with a bamboo basket on your back. The visit rounds off with a steaming cup of tea and a Thai snack. 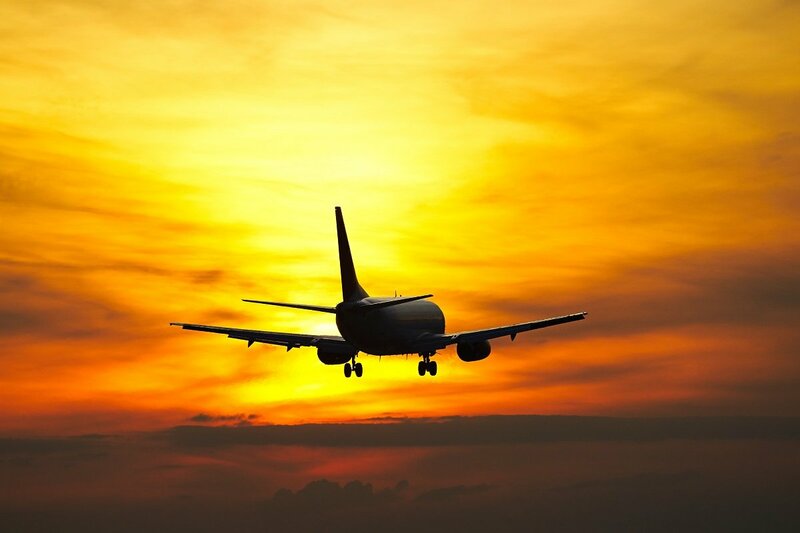 You are picked up at the hotel and driven to the airport. 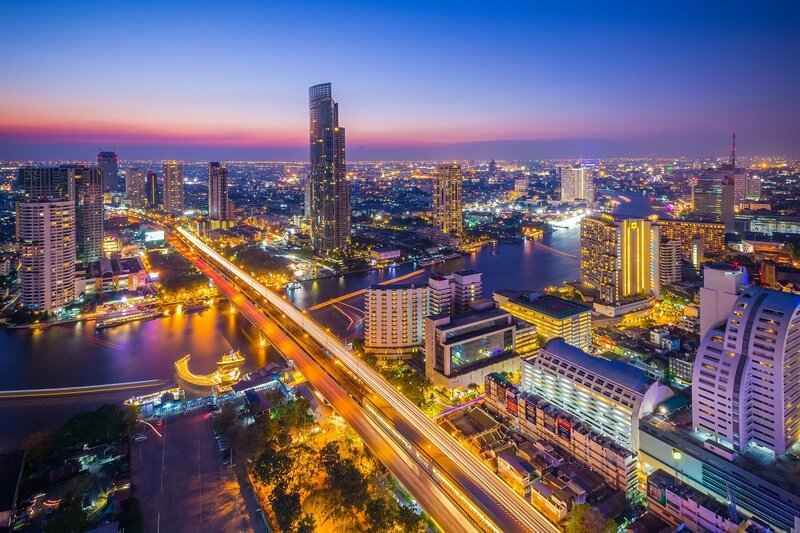 From here you fly to Phuket, where you are received by a driver, who drives you to Khao Lak. The drive lasts about an hour and 45 minutes, depending on traffic. You spend the next 5 nights in Khao Lak. Despite the relatively short distance from the lively Phuket, Khao Lak is an entirely different world. Here you will find both calm and adventure. 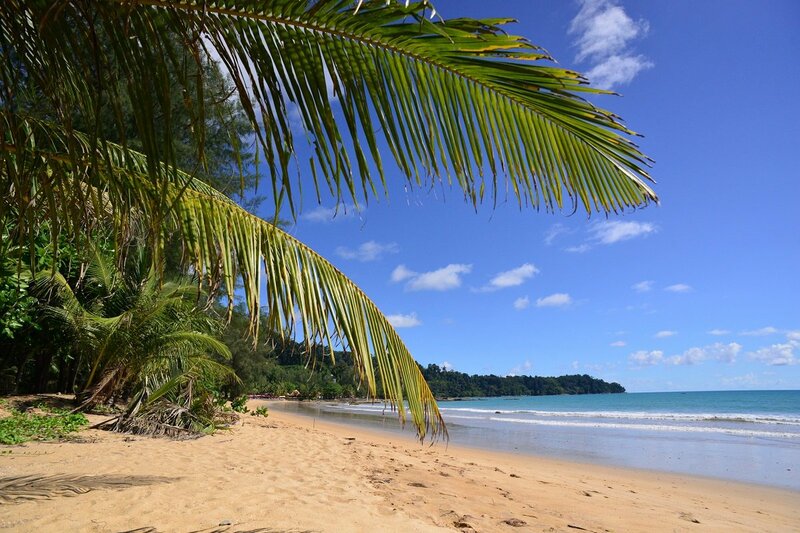 Khao Lak consists of several connected beach areas that together comprise this gorgeous and child-friendly holiday paradise, with blue oceans on one side and lush rainforest on the other. You stay near Nang Thong Beach, the most popular area in Khao Lak. Here you can find souvenir shops, excursion arrangements, diving shops and restaurants serving fish, shellfish and delectable Thai dishes. During your stay you can look forward to some beautiful and relaxing days by the beach or by the hotel pool. 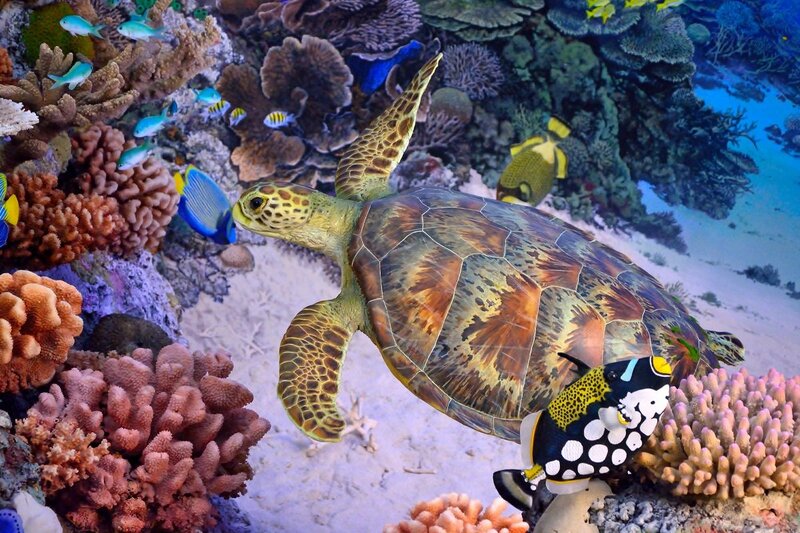 If you want to be more active, take a hike in the nearby Khao Lak-Lam Ru National Park, or a diving/snorkelling trip to one of the best diving spots in the world; the Similan Islands, which are 1 hour and 15 minutes away by speedboat. These 9 islands have been made a national park, and are home to an impressive marine life with vividly colourful fish, whale sharks, sea turtles and skates, as well as untouched nature, alabaster beaches and crystal-clear water. 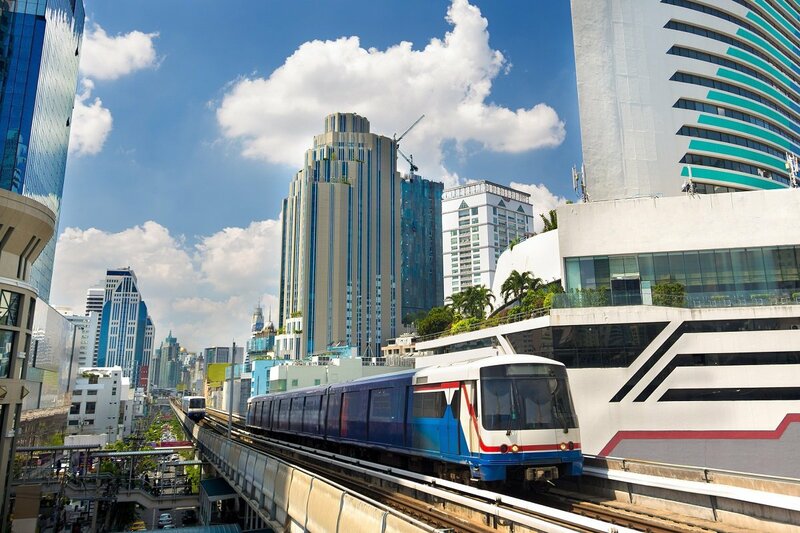 You are picked up at the hotel and driven to the airport in Phuket, where your journey home begins with connecting flights along the way. The stay is based on two deluxe rooms, sleeping up to 2 adults and 2 children.